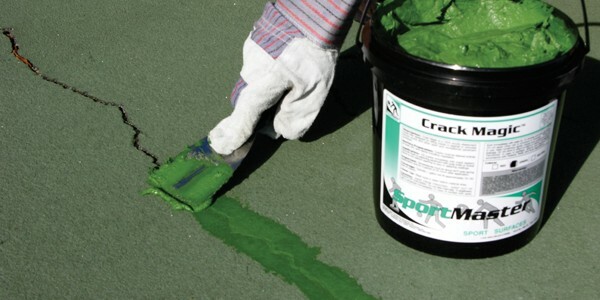 Is your tennis court in poor condition and in need of tennis court resurfacing and crack repair? SportMaster can put you in touch with qualified tennis court contractors in Philadelphia PA and nearby areas in eastern Pennsylvania. 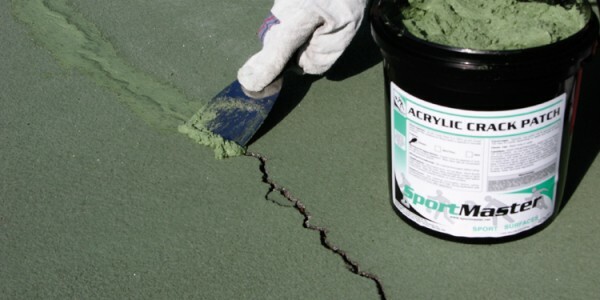 Our 100% acrylic tennis court coating systems are ideal for the Philadelphia climate and can withstand residential play to high-traffic municipal wear. 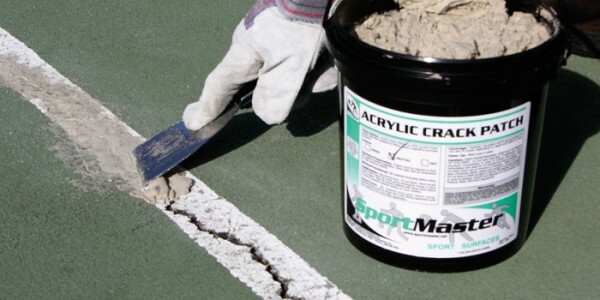 SportMaster offers a line of acrylic tennis court crack repair products that work well to fill and seal off surface cracks. This helps to prevent water penetration down into the asphalt stone base, and minimize damage during freezing winters in Philadelphia. 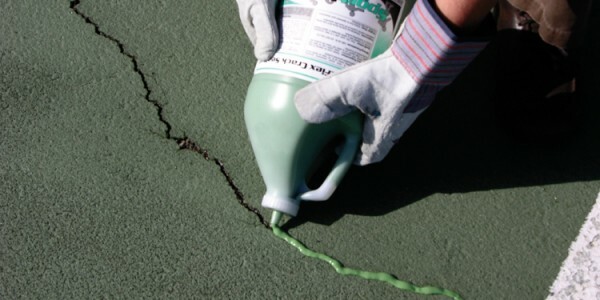 Our experienced tennis court contractors can provide options and pricing on traditional acrylic crack repair products, as well as specialized crack membrane repair systems. Finding qualified tennis court builders and surfacing contractors in Philadelphia can be a difficult task. Building a tennis court is not the same as paving a driveway or parking lot. There are much tighter tolerances and construction methods involved when properly building a tennis court. 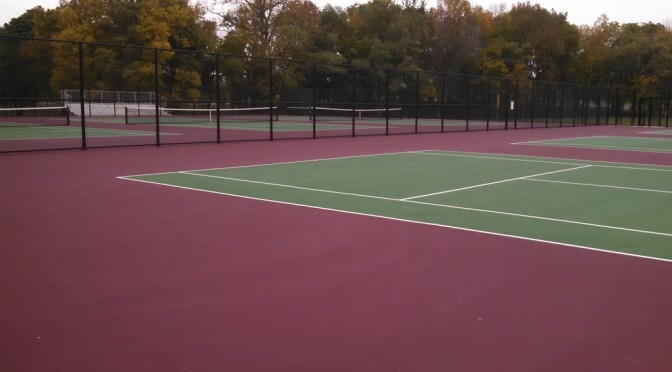 As a manufacturer of tennis court surfaces and paint, we can recommend builders and resurfacing contractors that specialize in tennis, basketball, and other sports courts in Philadelphia and eastern PA. Just click on the “contact us” button and fill out the short form and we will get back with you quickly and provide qualified referrals. Don’t worry, we won’t sell your information or hound you. We just want to help you make an informed decision and get the information you need.